Now that Spring has finally arrived lets get into a Spring time mood with a lovely light white wine from Austria made from a classic Austrian grape and as Lidl have just their Spring French wine sale, I thought I would feature a super red from a Bordeaux satellite region called Fronsac. Austria has 46,500 HA of vineyards, 67% of production is white, most of which is Grüner Veltliner, their flagship indigenous grape variety accounts for 31% of all white wines produced. 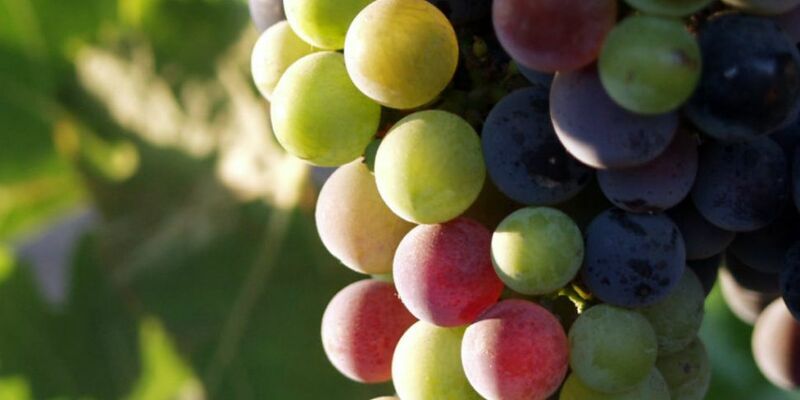 Red grapes are 33% of their total production with Zweigelt and Blaufrankisch accounting for at least half of that. Austria joined the EU in 1995 and moved their wine laws away from the German “sugar pyramid” structure to a more regional specific quality wine status. This change allowed this small country to find its niche and to compete on the global wine market. Niederösterreich is Austria's largest producing area. There are eight specified in Niederösterreich. Türk sources most of their Grüner Veltliner from Kremstal a region just north of the Wachau, one of the most famous areas about 40 km west of Vienna. More than 75% of the Türk vineyards are planted with Grüner Veltliner. The enormous potential of Austria’s signature white grape variety is already receiving wide international attention. It shows how versatile the variety Grüner Veltliner can be in taste and depth. A quote from Franz Turk "Our wines live – they are not “primeurs”, not early-drinking young wines, but wines with longevity, that will last for many years to come." Among many other prestigious awards the International Wine Challenge Hall of Fame Trophy for World's Best Grüner Veltliner2015 was awarded to Türk winery. This Grüner Veltliner comes from a single vineyard, which is called “Vom Urgenstein” it has a really elegant mineral structure with lots of elegant citrus fruit flavours. This is a classic white from Austria. It is a food friendly wine and would match with a variety of dishes but I’d personally serve it with a green asparagus risotto. The region of Bordeaux is the largest producer of quality wines in the world. Bordeaux will never offer rich ripe fruity wines, Bordeaux is a style of wine with structure and finesse which are to be enjoyed with food rather than for drinking solo. Bordeaux wines are a blend of three grape varieties, Cabernet Sauvignon, Merlot and Cabernet Franc and although the wine press and consumer knock Bordeaux, it cannot be disputed that this region produces wines unlike any other in the world. The Roman's were the first to cultivate the vine in St. Emilion. The wines from this area are known for their elegance and finesse. The difference between St. Emilion and Pomerol is the texture. The region was first classified in 1954, three categories were establised, Premier Grand Cru Classe, Grand Cru Classe and Grand Cru. St. Emilion is situated on the right bank of the Dordogne 50 km east of Bordeaux. It has a less maritime and more continental climate than the Medoc. St. Emilion itself is situated on a plateau. The vineyards in the area are quite steep. Merlot, Cabernet Franc, Cabernet Sauvignon and dominate the cepage in St. Emilion. I visited St Emilion in 2014, this small medieval town is renowned as much for its beautiful buildings and scenery as for its wine. The town has wonderful steep, narrow, cobbled streets, and a huge Romanesque church with the iconic 13th-century Tour du Roy tower. Here the Merlot grape is king and in most of the wine blends produced on this side of the Gironde river, Merlot dominates. The French wine region Fronsac is close to St Emilion in Bordeaux, Fronsac, west of Libourne, the town that gives its name to the Libournais region. Fronsac is called a “satellite appellation” in other words they are similar in style to the better know St Emilion and Pomerol but much more affordable. Merlot is one of the two major red grapes in Bordeaux, where it is blended with Cabernet Sauvignon. Wines made with predominantly Merlot are lower in tannin and acidity than those made with Cabernet Sauvignon, so are easier to drink when young. They are soft and smooth with plum and fruitcake flavours. Merlot is a plentiful grape. Because it ripens so early its tannin is less pronounced. The Lidl French wine sale includes this great value Fronsac. Soft plum fruit flavours with soft tannin and a good structure, if you’re planning on Spring lamb this wine would be a perfect match.